Clare has a keen interest in working with you to achieve your goals, whether that is relief from aches and pains, reducing your stress levels, getting you back on your feet after an operation or injury or just helping to keep your body strong, fit and healthy.Natural Healing Clinic is well known throughout the island for its success rates. We have helped a variety of people achieve their goals from back pain relief through to working with week old babies suffering from tongue-tie conditions through to the elderly with sciatica. Clare specialises in biomechanics of the horse and rider, helping the rider to achieve their goals by providing specialist remedial treatment and exercise programmes to achieve the optimum performance from both horse and rider.This year Clare has been lucky enough to work with top Professional yards such as Jane Holderness-Roddam, Steffi Harant, Zara Barton-Woods, Brendan Powell and many more. Natural Healing is a Pain Relief and Wellness Clinic based in Union Mills, Isle of Man. Our clinic is in a private setting with a tranquil atmosphere to help our clients feel relaxed and eliminate any apprehension, which we can feel from time to time. Our aim at Natural Healing is for you to have an enjoyable, home from home experience. You will find plenty of free parking and the clinic is easily accessible for less mobile clients. Our Practitioners are trained to provide you with a friendly high standard of service that works! We cater our treatments for each individual helping you to get back on your feet, to live a pain free life. Our fully trained Practitioners are members of CMA, BTAA, BAUK, FHT, they attend regular courses to keep their affiliation up to date. Natural Healing provides non-invasive technique such as the Australian therapy known as The Bowen Technique. The Bowen Technique is an increasingly popular hands-on therapy that has taken the physical therapy field by storm throughout the world. Bowen is highly recognised for its dramatic long lasting results within a variety of conditions. Natural Healing aims to deliver fast and effective relief from musculoskeletal pain, through to injuries of all kinds. Whether your suffering from aches and pains or something long term we can help. Natural Healing has been providing quality healthcare since 2007. why not give Clare a call on 202121 to discuss your problems . Read more about Natural Healing. 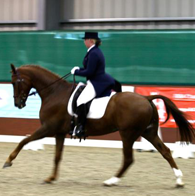 Clare specialises in biomechanics of the horse and rider, helping the rider to achieve their goals by providing specialist remedial treatment and exercise programmes to achieve the optimum performance from both horse and rider. Clare is working riders short-listed for the Olympics in Rio 2016. Clare’s work has enabled her to work alongside top veterinary surgeons, top racehorse trainers, competition riders, specialist practitioners, saddlers and dentists all around the world. Clare’s broad experience working within all these different spheres has enabled her to gain an enormous understanding of the structure, movement and balance of the horse and rider, both as a whole and as individuals. Clare has worked with eventers, show jumpers, dressage horses, polo ponies and racehorses to aid their optimum performance. Clare’s results speak for themselves. Her numerous clients have all noticed a significant improvement of performance from both themselves and their horses. Clare’s competitive clients have all achieved a marked improvement from being ‘nearly there’ to getting placed and winning after only a few treatments. Clare specialised her treatment programme to suit the individual, some individuals will only need one or two treatments others a few more. Why don’t you give her a call to see how she can help you or your horse? This year Clare has been lucky enough to advertise in the Little Black Book of Equestrian Professionals and to sponsor Polly Tucker an event rider from Bristol and Yazmin Ingham Junior European Event Rider 2013/14. Bowen Association UK (BAUK), Federation of Holistic Therapies (FHT), NSH Directory of Complementary Therapies (NHST), Recommended Equestrian and EMRT Association AU (EMRT).